Jeff Jimenez was born in Manhattan, NY. He is the youngest of six children. As a child, he attended public school, played baseball, and spent a good amount of his free time working. In his adult career, he has only had two jobs, in which he built himself up the ranks of his companies. He joined Gappsi in 2011, and in a very short time, he mastered the processes of cleaning and sealing patios, and the construction/sales of sport courts. Jeff is very dedicated, knowledgeable, professional among his interactions with customers, and well-respected from the employees that he supervises. He is a dedicated husband and father of two children. Bes! Concrete pavers should be sealed. Paving stones are manufactured with the highest quality cement, but cement is a corrosive material that wears under natural elements. The sun, rain and cold, can easily wear the surface of pavers, and a good sealing job with the right sealing product, applied by a professional technician of sealing, will create a layer of protection over the paving stones making them water repellent and weather proof. This will protect the concrete surface from corrosion. A good sealer penetrates the paver surface and stays there for many years, even if the look of the sealer goes away, the color and texture of the pavers will stay new. Yes! All concrete and paver surfaces should be cleaned before applying any sealer coating. It is very important that the surface is clean because any stains or materials that get trapped under the sealer will not be able to be cleaned after it’s sealed. Pressure washing pavers is just as important as sealing it. Using the wrong pressure washing tools could also hurt the pavers. A pressure washer with the wrong nozzle could mark or wear the pavers. The best recommended tool is a high volume, low pressure, hot water pressure washer. The hot water cleans the pavers and prepares the surface for the best result sealing job. There are many manufactures of sealers, from solvents to acrylic urethane. Epoxies, acrylic, and urethanes sealers come in water-based versions and solvent-based versions, including combinations of both. The biggest difference between the two is the VOC content. The sheen and life of the product determines how often it lasts before needing to be reapplied. Solvent-based acrylics tend yellow overtime and don’t allow the concrete breathe. Epoxies are the strongest sealers, but are best used for smoother surfaces and more for indoor or warehouse floor application. The best sealers for paving stones are water-based urethanes. They are algae and mold inhibitors, allow superior joint stabilization, they are environmentally safe, its UV Protection will not harm vegetation, and it is VOC Compliant in all 50 States. Well-trained Gappsi personnel can apply paving stone sealer products achieving the best results. What type of Sand material is best to fill the joints in between pavers? Polymeric sand is best to use to fill the joints in between pavers. High quality polymeric sand will not leave any stains on the surface. 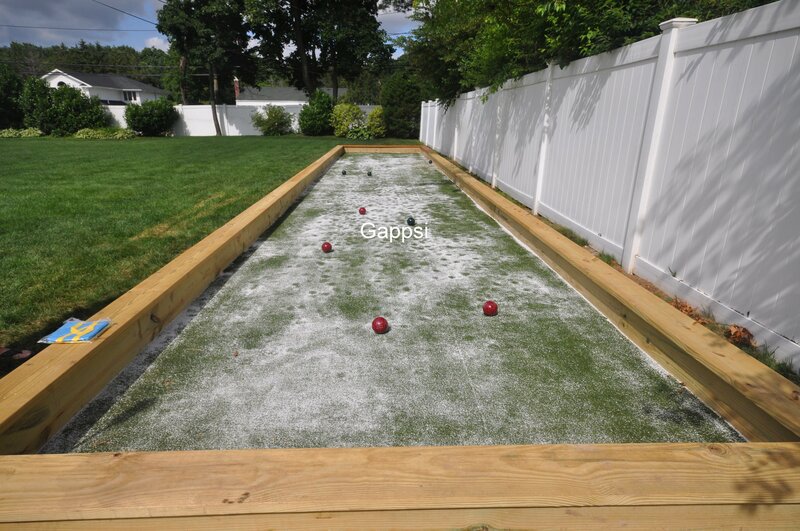 Gappsi vibrates the pavers while sweeping which allows the send to fill the joints tight and also help the sand harden. Sweeping the excess sand off the pavers before wetting the sand is also very important. This prevents the glue that is in the sand to smear the pavers surface. Most importantly, applying a good urethane sealer will further help the sand to harden and prevent ants from digging into the paver joints and weeds from growing on patios. It is important to wait at least a year before sealing concrete pavers from the date of installation. Concrete pavers have to cure and must go through a four-season cycle of weathering. This allows most of the lime from the paver’s surface to come out. After the cleaning and pressure washing process, all the lime from the surface gets removed and the color of the stones gets exposed, this allows the sealer to capture the best of the pavers and preserve it that way. The life of the sealer is contingent to how well it has been applied. Three to five years is recommended by most sealer manufactures, and usually people reseal the driveway and pavers that often. But what's most important is that pavers are sealed right one time and even though the sheen will go away, or some dust my sit on the surface, the sealer that penetrated the surface of the pavers has created that will be present for many years preventing the pavers from edging. 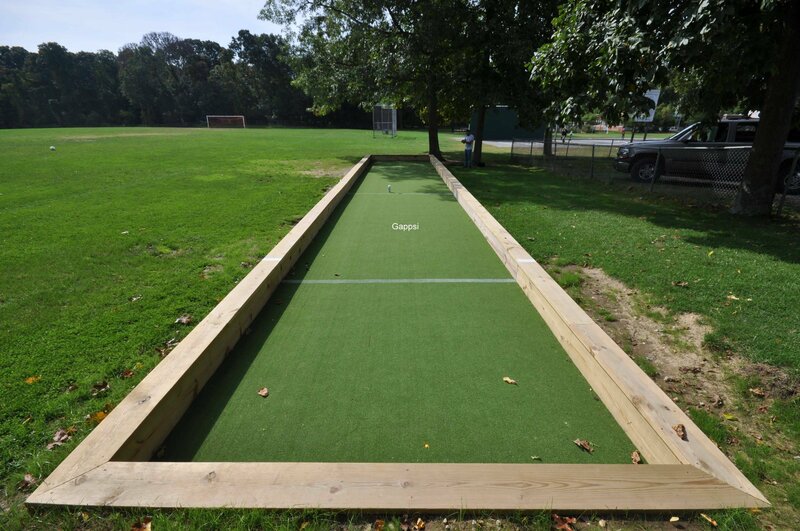 Sport Courts Construction Company For Nassau & Suffolk County Long island NY.